Multi-grooved surface with stability grooves on the under-side. This is a top-quality, stable product, unlike cheaper whitewood products offered elsewhere. 3600x143x28mm ~ 11' 10" is only £7.56 (+vat). 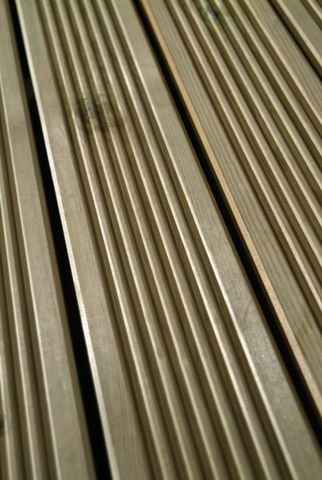 4200x143x28mm ~ 13' 9" is only £8.82 (+vat). 4800x143x28mm ~ 15' 9" is only £10.08 (+vat).